When you are formulating with waxes, you want your product to be strong enough to not break, and have a high enough melt point that the product doesn't melt in a purse or glove compartment. But on the flip side, you can't have it be so hard that when you rub it against your skin no color comes off, or the product drags and skips. 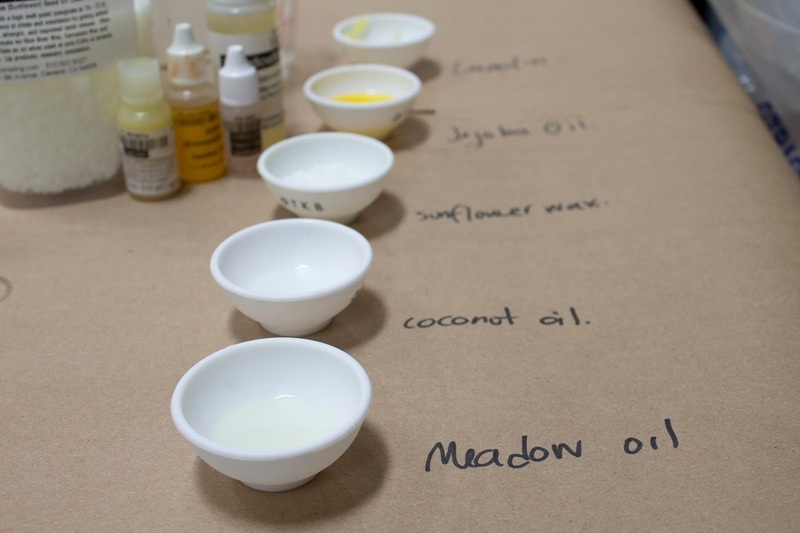 Finding a right balance for these problems is one reason Beeswax is commonly used in cosmetics. Beeswax has a lovely plastic quality to it. If you have some, try squishing it between your fingers and you will sense a little "give". 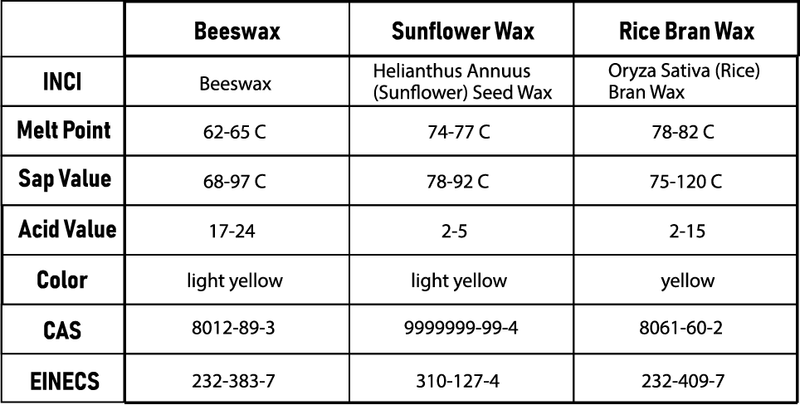 Comparing Beeswax to Sunflower and Rice Bran wax shows us that they are kind of similar, but a little different. 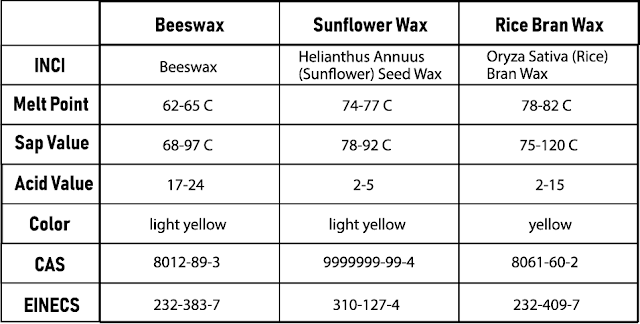 The main thing to focus on when you switch out a vegetable wax for beeswax in a formula is the melt point. It should be similar. 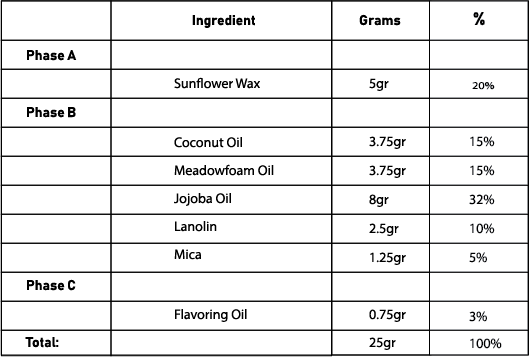 As Sunflower and Rice Bran wax both have a somewhat higher melt point than beeswax, you may get a harder product at the end, so you will probably reduce the amount of wax in your formula (easiest solution) or add in softening elements such as more oil, or a soft at room temperature cosmetic butter. Note: You want to heat the oil so that it doesn't shock the wax when you add it.